Over the next century, plants and animals on land might be in for a wild and ultimately devastating ride. Warming temperatures, changing precipitation patterns, and extreme weather and climate events are likely to increase at a rate and magnitude not seen in more than 65 million years, according to a new study published Thursday in the journal Science. Couple that with other human-related ecosystem disruptions, from highways to deforestation to pollution, and some species could find themselves pushed to the top of the mountain or the tip of a continent with no suitable habitat left in which to move. A view of the Brazilian Amazon rainforest and a field that's been clearcut. Rising temperatures and land use changes will pose an unprecedented challenge to ecosystems across the globe. Global average surface temperatures have risen about twice as fast over land during the past century as they have over the ocean, a trend likely to continue into the next century. Based on the current emissions trajectory, temperatures are projected to rise by as much as 9°F over much of the Earth’s land, the study found. The last time the Earth warmed that much was around 55 million years ago. Only the cooling that caused the extinction of the dinosaurs tops the magnitude of change over the past 65 million years. When Earth warmed 55 million years ago, it did so over 10,000 years. The projected change over the next century provides a small window in which life on Earth, including humans, will need to adapt to a similar change in temperatures. And those extremes can have profound impacts on ecosystems around the world. 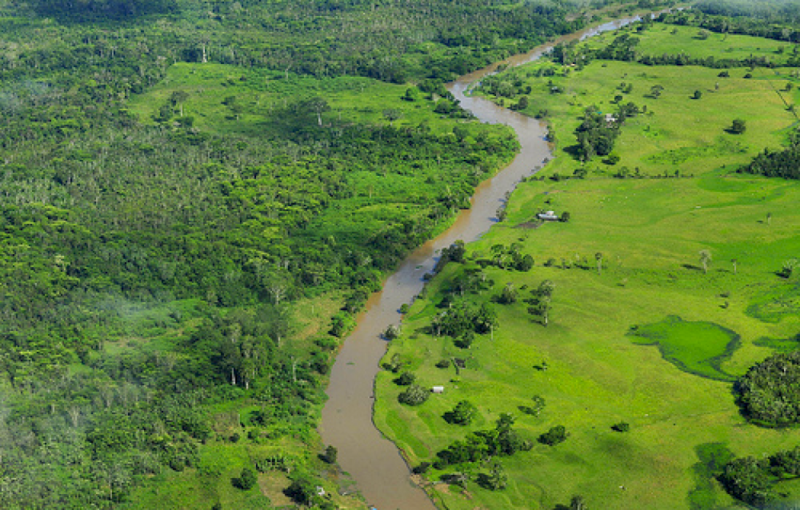 For example, in the Amazon, rainfall decreased by 3.2 percent each year from 1970 to 1998. That led to increased wildfires and tree die-offs throughout the region. To cope with the changes, ecosystems will either need to adapt to the new normal or migrate to a more suitable habitat. Certain species are already responding. Shrubland has expanded throughout the Arctic in response to warmer conditions. In the Northeast U.S., certain plants bloomed 11 days earlier on average from 2000 to 2009 compared to 161 years ago, according to historical records. 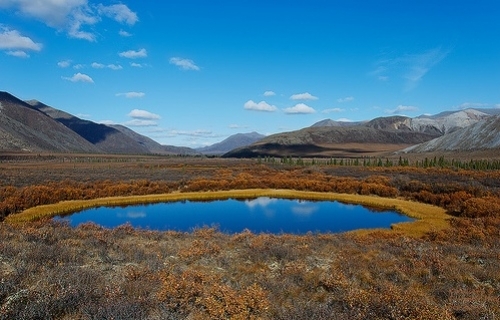 Shrubland has increased in recent years throughout the Arctic. The idea that species will move is informing a relatively new area of research known as “climate change velocity.” The basic premise rests on looking at expected changes over the next century in relation to the present, and then anticipating how far ecosystems would need to shift each year to stay in their comfort zone. “If you look at how rapidly species would have to move in space to keep up with climate change, over many land areas species would have to move at a rate of at least a kilometer per year in order to maintain the annual temperature that they currently experience,” Diffenbaugh said. Some previous research has identified flat areas as where changes will happen the fastest because plants and animals will have to move greater distances to find the same conditions they’re used to. However, the new study shows that ecosystems in mountainous zones, such as the edge of South America and Africa, and high northern latitudes could have to travel the fastest and farthest to keep up with temperature change. Species in those regions may have to move at a rate upwards of 80 miles a year in order to stay in areas with the same temperature they currently live with, according to the study. For species at the top of the mountain that are accustomed to a cooler climate, that could simply translate to nowhere to go or no path to get there. While the high latitudes and mountains have the more eye-popping velocity of change numbers, Diffenbaugh warned that species in tropical areas, which are experiencing less of an absolute temperature change compared to the other regions, are still at risk in a warming world. That’s because species there are adapted to the relatively lower climate annual variability so even slight shifts in that range can have profound consequences. This past year, Australia experienced its hottest summer on record during which wildfires raged across the landscape. 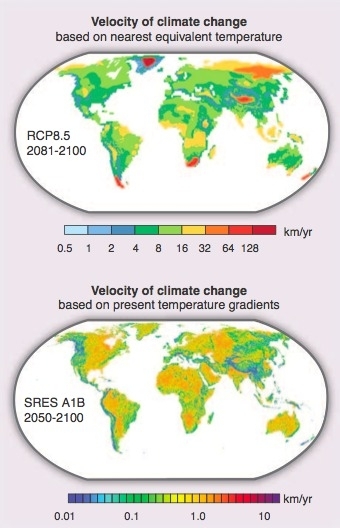 The top map shows velocity of climate change estimates based on the new Science study. 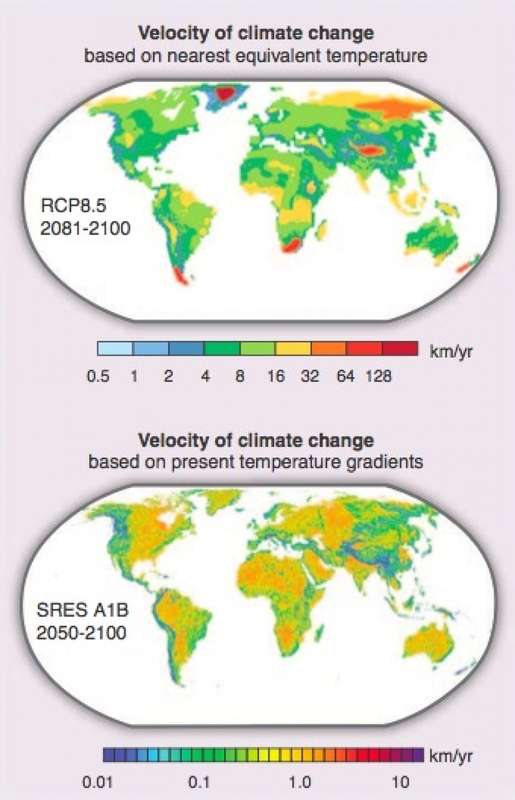 The bottom map shows velocity of climate change based on previous estimates. Note the two maps use different scales. At the root of those future changes is the path humans take into the 21st century. For example, the Energy Information Administration forecasts that fossil fuels will be the dominant source of energy through 2040, but allows for a number of uncertainties from economic growth to price spikes that could alter that trajectory. Similarly, population growth, technological innovations, and policy changes could further change greenhouse gas emissions and, with it, what the future climate and its impact on ecosystems will look like. Regardless, any warming will also take place in a world that’s increasingly fragmented by human development. Water and air pollution, urban sprawl, mining, deforestation, and other alterations to the landscape will create a steeplechase course for plants and animals to navigate in search of more hospitable climates. How species deal with this confluence of changes in the coming century is uncertain. Terrestrial ecosystems faired well during the warming 55 million years ago, though they had much longer to adapt.